Transparency Market Research just published its research report that indicates that the global online gambling market could enjoy a CAGR of 11.8% between 2018 to 2016 to reach a value of US$128.2 billion. In 2017, Europe held the leading share in the online betting and gambling market. Transparency Market Research just published its research report that indicates that the global online gambling market could enjoy a CAGR (compound annual growth rate) of 11.8% between 2018 to 2016 to reach a value of US$128.2 billion. In 2017, Europe held the leading share in the online betting and gambling market. The Online Betting and Gambling report by Transparency Market Research offers an analysis of the global industry, its size, trends, growth, share as well as forecasts for the 2018 to 2016 period. The increase is mainly due to the relaxation of laws that boosted the betting and gambling market, penetration of online devices and the growth in trust on wagering via online payment modes. Forecasts based on device type it is the mobile segment that is expected to expand with a 16% compound annual growth rate. 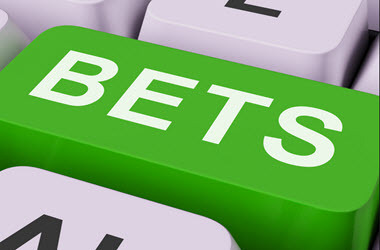 What drives the significant growth in the online betting and gambling market is the rise in prevalence gambling, huge increase in trust in betting via electronic payment methods, increase in consumers disposable income and the penetration and growth of the internet and the adoption of Internet-based devices. Even though the expected growth is significant, the online gambling industry faces a few challenges including an insufficient facility for internet operations, stringent regulatory laws for online gambling and betting as well as the threat of cyber-attacks. When it comes to the report’s analysis of gaming types, an estimated increase of 14% is projected for the sports betting market while casinos were second in the lead in terms of value during the 2017 period. The online gambling market in 2017 was led by Europe. However, a CAGR of 14% is expected for the Asia Pacific market due to the growth in participation of betting via the internet, while the relaxation of the gambling laws in the Asia Pacific zone, as well as the availability of attractive offers via foreign casino sites, also have a major impact on the growth. Another market to keep an eye on is Brazil, seen as the largest regulated market, according to statistics the country has enormous economic and social potential for internet gaming development. The Brazilian Institute of Statistics and Geography, IBGE, published data that show that 116 million of the 208 million inhabitants have access to the internet, the equivalent to 64.7%. Over 85% are between the ages of 18 and 24, and the IBGE survey found that 63.3% of Brazilian families have access to networks. According to the National Survey, 92.6% of households own at least one mobile device, which is used 99.7% of the time to access the internet. Next Next post: Get Ready to Swipe & Roll NetEnt-Style!